You can ditch the white whole wheat flour and use all purpose flour for the entire recipe, the flavor will be slightly different though where the egg will be more dominant. Pre heat oven to 400°. Add milk to the beaten eggs; Sift together dry ingredients over the egg mixture while slowly mixing it together. Add oil or crisco and mix until smooth. Take a muffin tim or popover pan and grease well with "Spry" pan coat. * Place in middle rack of oven and bake until they are golden brown on top and sound hollow when tapped with finger, about 45mins. Serve hot with butter. * Spry pan coat is an old recipe for coating baking pans. It's simply 1/4C Flour to 1/2C Shortening beaten together. Brush it onto your baking pans and nothing will stick ever again. 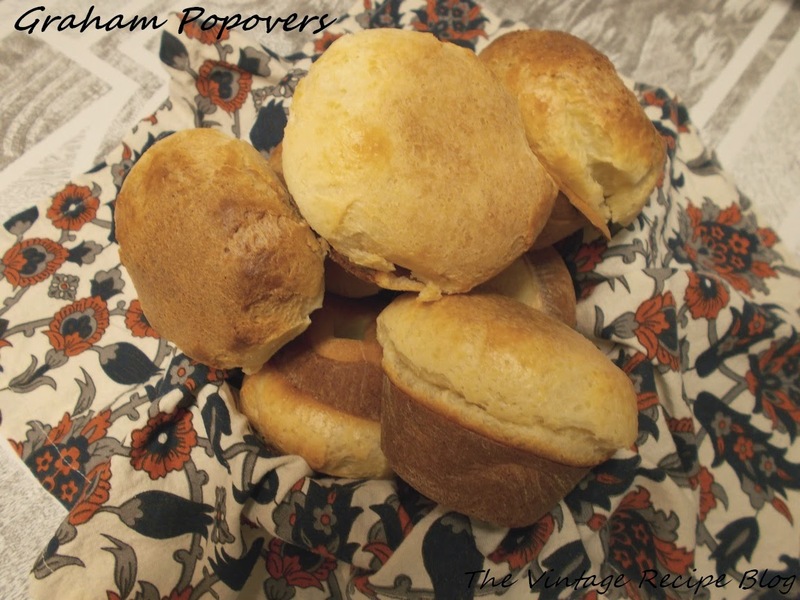 Works well for breads, biscuits, muffins, cakes and of course, popovers. These are delicious and you really don't see them around much. I love them.